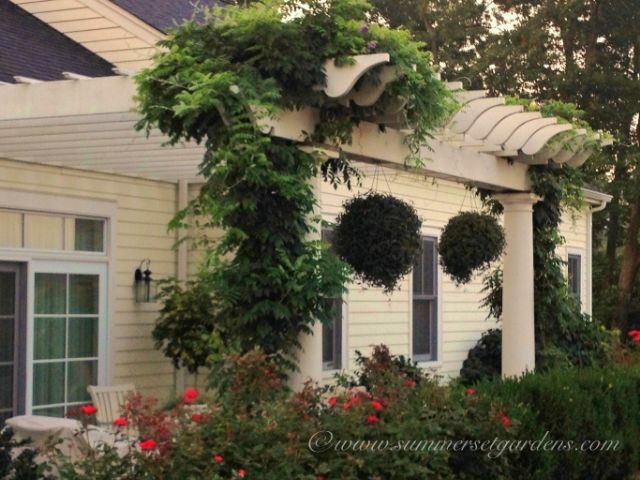 A white pergola design ties in with the white trim on the house. It adds character to the house and makes this space into an outdoor room. I am training Wisteria to climb up and over the pergola which will give additional shade as well as soften the space. The patio is surrounded with Roses, Boxwood , Holly and a variety of spring flowering bulbs and perennials. This landscape design project is located in a New York town home community.